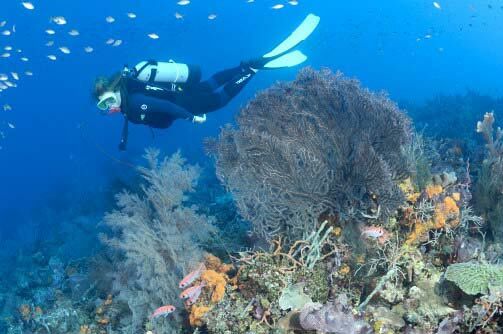 The Forest Known for it's giant soft corals, this is an excellent shallow second dive. Sea plumes, sea whips, sea fans and gorgonians constantly sway in the ever present surge, the surf breaking on the rocks of the nearby shore. There is a channel along the rocks where you can watch the waves breaking overhead. The Garden The Garden is full of corals, both hard and soft. The Wall Massive cliffs protrude into open sea, and beneath them, the undersea extension has a lushness that rivals the topside verdant flora. 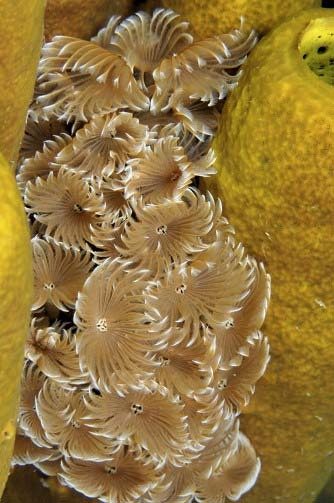 The wall is full of black corals in various forms and colors. Gorgonians are huge and lacy, interspersed with barrel and vase sponges. A steady stream of chromis and creole wrasse give this gorgeous scene vitality. 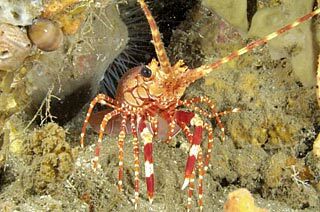 The red banded lobster from the cover of Paul Humann's Reef Creatures book can be photographed here. Orca Point This site is full of critters and creatures and makes an excellent night dive. 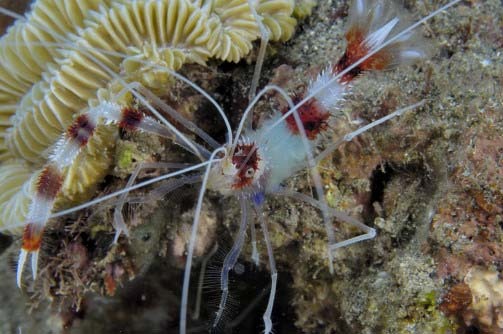 It is a wonderful area for macro photography, as on a typical dive you will see several types of seahorses, fingerprint flamingo tongues, frog fish, crabs, a variety of shrimp in their anemones, peacock flounders. 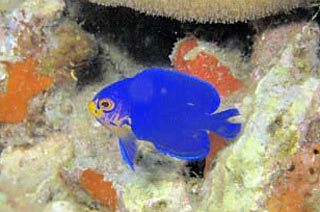 The site offers varying depths from 20 to 120 feet and the best way to explore it is to start out on the deep side and work your way to the shallow boulders with swarming fish. Orca II Orca II has the best of both worlds! It has a beautiful live reef on one portion of the dive with all kinds of living coral, crinoids, many types of shrimp, schools of reef fish and lobsters, perfect for new divers as well as divers looking for photos of healthy reefs. The other side of the dive site is muck diving. Here we find some of the unusual critters we are famous for. 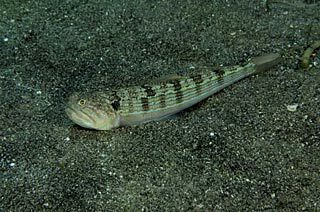 At this time we have a nice big (2") brotula that greets us under the boat near the mooring. 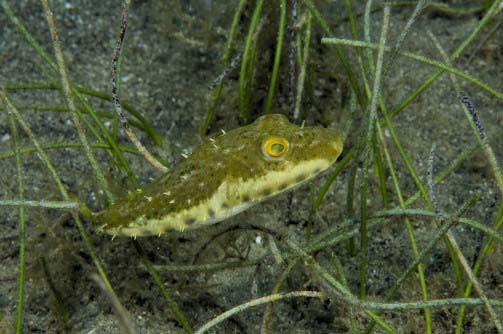 Pikeblennies, flying gurnards box crabs, an occasional lined sea horse, plus other neat residents are awaiting. This site is a nice place for a dive group where some take photos and some don't. The non-photogs can go to the real reef and the photogs can go to the muck. Everyone wins! The Steps This site is located below the steep cliffs of Fort Charlotte by some "steps" entering the sea. This is the area where the residents of the fort came to bathe. Here you may find red-lipped bat fish walking around in the dark volcanic coloured sand. 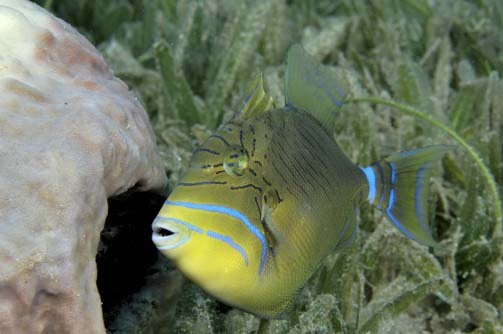 Yellowheaded jaw fish have built their burrows here and Flamingo Tongues seem to be on every gorgonian in the area. Bat Cave A shallow rocky passageway cut through the reef that led into a cave chamber inside the cliff. Lift your head in the eerie half-light, you will hear the screeching of bats and glimpse them swooping. Continue on the tour which will lead you through the cave to the opposite side where a narrow, deep fissure exits to the reef. 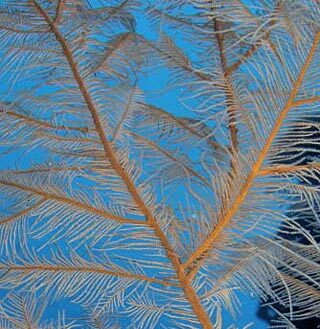 Hordes of copper sweepers lazily meandered about the passageway, almost obscuring the view towards the reef. New Guinea Reef The sub sea terrain drops rapidly, and at about 100 feet, there are some lovely stands of black coral in shades of hot pink and red! The variety and species of black coral here is astounding. There are bush, whip and fern species with a profusion of intense colors. 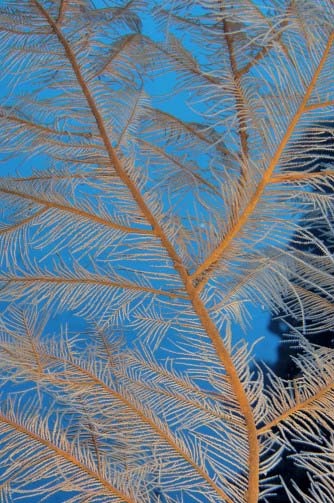 Nowhere was this more exemplary, the showcase of St. Vincent's underwater topography. 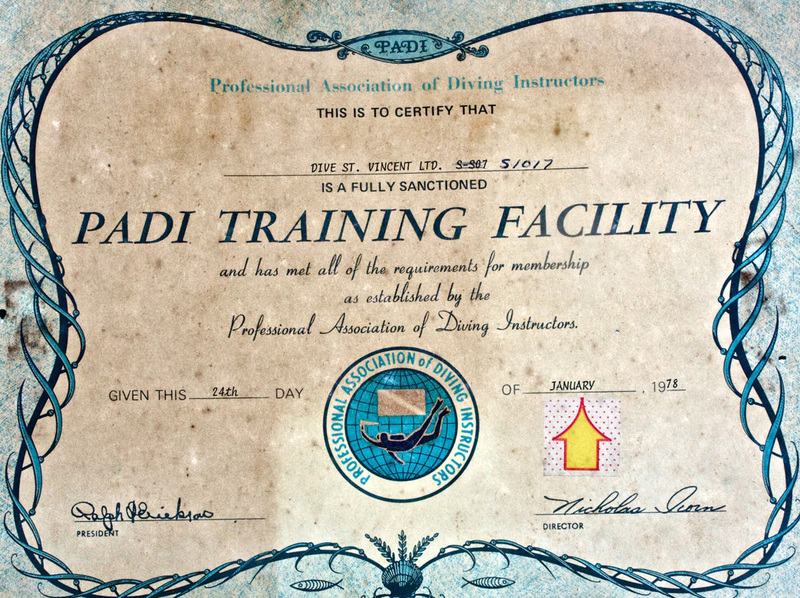 Bill Tewes named it because of it's resemblance to a South Pacific reef where he formerly had a dive operation. Bottle Reef Another unique site just below the cliff where Fort Charlotte stands. There is an interesting collection of rum and gin bottles that were discarded from the fort above. The wall slopes sharply just past this bottle graveyard. Coral Castle Only about 20 yards from shore, the drop off is formed by terraced hard corals. 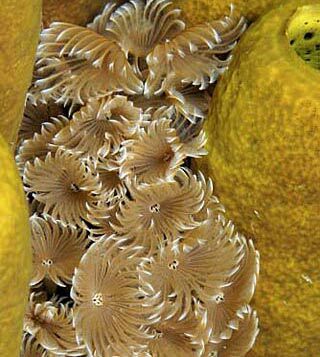 The massive layering of corals looked sculpted, and it was adorned with gorgonians and sponges, completing the designed effect. 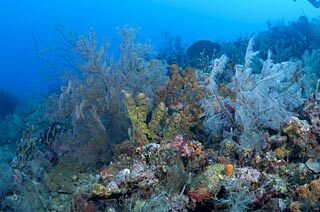 The reef dropped away at about 75 degree angle to a sand void at about 125 feet. There is an abundance of small tropicals, but no large fish. Turtle Bay Huge pieces of volcanic rock had tumbled from the cliff above and had become the basis for the encrusting reef. Large fields of yellow tube sponges covered the rocks, creating a bright backdrop for the wrasses and damsels. 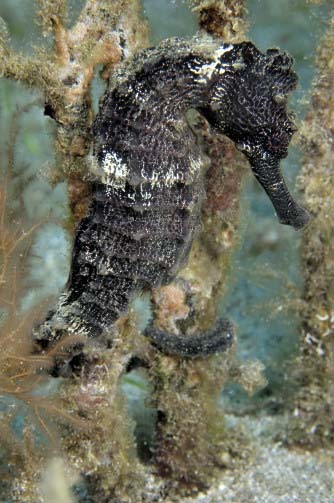 Sea horses and frog fish are found at both sites, as well as red-lipped bat fish. Yellowhead jaw fish live in the sand and certain times of the year can be seen aeriating their eggs which they hold in their mouths. 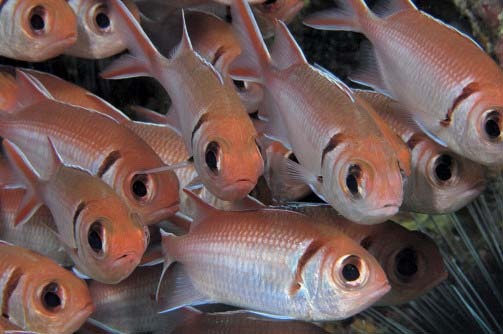 Anchor Reef Anchor reef is a deep black coral garden on the edge of a wall with a tunnel at 35 feet where blackbar soldierfish congregate. The reef top here is covered with colourful encrusting and rope sponges. 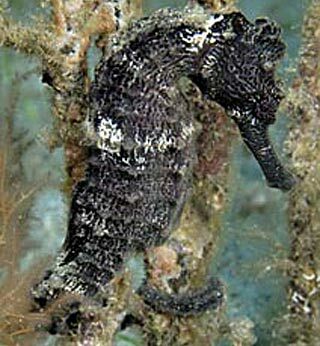 There are a variety of eels, you can often spot squid and there are seahorses living amongst the gorgonians. Pinnacle Currents sweep this oblong pinnacle rising from the sea floor to a depth of about 25 feet., therefore you must pick the right time to dive this site. Because of the almost constant swirling currents, an abundance of plankton brings a constant food source to this knob, making it a heavenly spot for unusual critters. 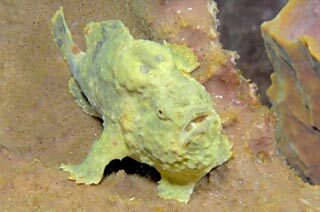 Long lure frog fish can be found living in sponges with the same colours, so as to cleverly camouflage themselves while waiting for an unsuspecting meal to happen by. 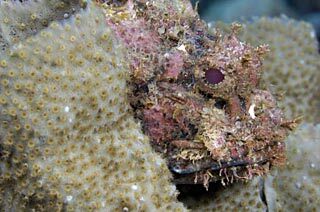 Scorpionfish and even seahorses have been spotted here.